In recent years we have deepened our knowledge of DAX and transferred it to thousands of students all around the world through our courses and video trainings. We have also authored the most popular and respected book on this topic. Learn the basic notion of DAX syntax and common functions used in most of the solutions. The Mastering DAX Workshop is the most advanced course available on the DAX query language, bringing our students to a whole new level of expertise. The Optimizing DAX Workshop explains how to identify bottlenecks in DAX calculations, thus improving the performance of DAX formulas and Tabular data models. We do not outsource our training. Our in-house experts travel all around the world to share their knowledge. Students can practice the use of tools and technologies directly on their own computer during each course. Attending our classroom events is your opportunity to obtain explanations, ask individual questions and, often, solve certain issues. The courses we deliver are always based on a book we have written. Each student receives a copy of the book as a study companion. After each course, we provide a downloadable certificate of attendance along with a sharable public web page. Here is the official calendar until August 2019 – we will announce more classes in September. If you prefer to organize a course in a custom location or at your company, we also offer on-site training – see below. Can't travel? Enjoy our video courses! Interaction and Q&A. They are delivered in English and include subtitles. We also provide video courses for Power BI, Data Modeling, and Power Pivot – see the other pages for more information. 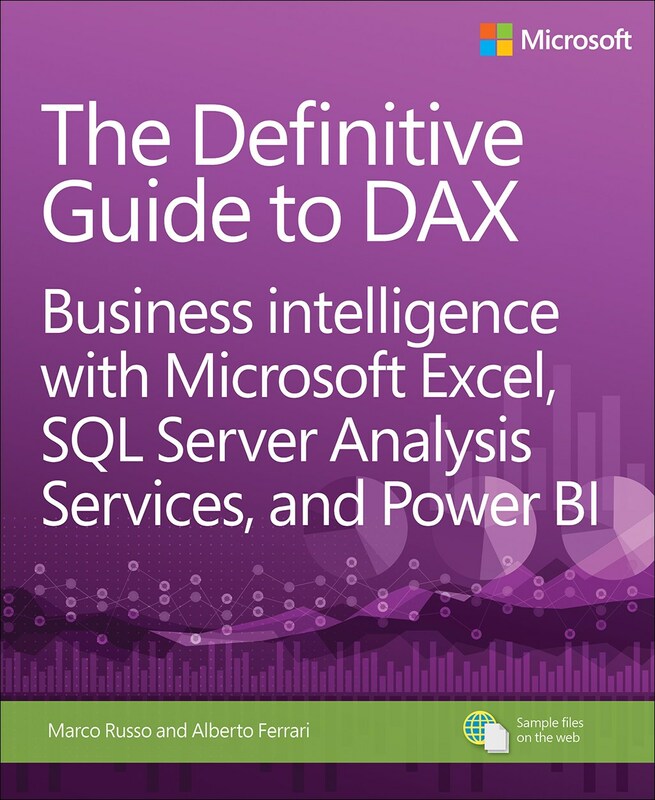 If you learn better by reading, here is the book for you: The Definitive Guide to DAX, the de-facto reference to master the DAX language. It was written by our senior trainers, Marco Russo and Alberto Ferrari, and published by Microsoft Press. You have never studied DAX before and you're not sure where to start? Follow our guide and get learning the right way!